Football (as well as rugby and soccer) are believed to have descended from the ancient Greek game of harpaston. Harpaston is mentioned frequently in classical literature, where it is often referred to as a “very rough and brutal game“. The rules of this ancient sport were quite simple: Points were awarded when a player would cross a goal line by either kicking the ball, running with it across the goal line, or throwing it across the line to another player. The other team’s objective was simply to stop them by any means possible. There was no specific field length, no side line boundaries, no specified number of players per team, only a glaring lack of rules. Most modern versions of football are believed to have originated from England in the twelfth century. The game became so popular in England that the kings of that time (Henry II and Henry IV) actually banned football. They believed that football was taking away interest from the traditional sports of England, such as fencing and archery. Football didn’t really begin to take on any consistency of rules and boundaries until it was picked up as a sport in the seven major public schools of England in the early 1800’s. Six of the seven schools were largely playing the same game (including Eton, Harrow and Winchester) - while the seventh, Rugby School (founded in 1567) was playing a markedly different version of football. The other schools moved ahead refining their rules and eventually their game became known as "association football" – or soccer, which was played back then much as it is today. Rugby School went in a different direction. How and why the game developed differently at Rugby School appears to have been lost in history, but what is known is that by the 1830's, running with the ball at Rugby School was in common use and 18 foot goal posts had been added with a cross-bar at 10 feet above the ground. The inclusion of the cross-bar was accompanied by a rule that a goal could only be scored by the ball passing over the bar from a place kick or drop kick. Apparently this was done to make scoring easier from further out and also to avoid the horde of defenders standing in and blocking the mouth of the goal. Players who were able to "touch down" the ball behind the opponents goal line were awarded a "try-at-goal" - the player would make a mark on the goal line and then walk back onto the field of play to a point where a place kick at the goal was possible (a conversion). There was also an "off-your-side" rule used to keep the teams apart. Passing the ball forward was not allowed. By the mid-1860s British schools and universities had taken up Rugby's game and honored the school by giving the "new football" the name of rugby. The game soon went trans-Atlantic to America and landed on fertile soil. The birth date of football in the United States is generally regarded by football historians as November 6, 1869, when teams from Rutgers and Princeton Universities met for the first intercollegiate football game. In those early games, there were 20 players to a team and football still more closely resembled rugby than modern football. The game of football has a history of constant rule changes. Rule changes have been implemented to bolster the excitement of the game of football and to increase the game's safety. In 1873, representatives from Columbia, Rutgers, Princeton, and Yale Universities met in New York City to formulate the first intercollegiate football rules for the increasingly popular game. These four teams established the Intercollegiate Football Association (IFA) and set 15 as the number of players allowed on each team. Walter Camp, the coach at Yale and a dissenter from the IFA over his desire for an eleven man team, helped begin the final step in the evolution from rugby-style play to the modern game of American football. The IFA’s rules committee, led by Camp, soon cut the number of players from fifteen to eleven, and also instituted the size of the playing field, at one hundred ten yards. In 1882 Camp also introduced the system of downs. After first allowing three attempts to advance the ball five yards, in 1906 the distance was changed to ten yards. The fourth down was added in 1912. Within a decade, concern over the increasing brutality of the game led to its ban by some colleges. Nearly 180 players had suffered serious injuries, and eighteen deaths had been reported from the brutal mass plays that had become common practice. So in 1905, President Theodore Roosevelt called upon Harvard, Princeton, and Yale to help save the sport from demise. At a meeting between the schools, reform was agreed upon, and at a second meeting, attended by more than sixty other schools, the group appointed a seven member Rules Committee and set up what would later become known as the National Collegiate Athletic Association, or the NCAA. From this committee came the legalization of the forward pass, which resulted in a redesign of the ball and a more open style of play on the field. The rough mass plays, which once caused so many serious injuries, were prohibited by the committee. Also prohibited was the locking of arms by teammates in an effort to clear the way for their ball carriers. The length of the game was shortened, from seventy to sixty minutes, and the neutral zone, which separates the teams by the length of the ball before each play begins, was also established. Though refinements to the game would continue to the present day, the modern game of American football had arrived. The football field is 120 yards long and 53 ½ yards wide. At each end of the field and 100 yards apart are the goal lines. The additional 10 yards at each end is the end zone. The field is divided up every 5 yards by a yard line. The middle yard line marker is called the 50 yard line. In parallel to the side lines are rows of hash marks. The football is always placed on or between the hash marks at the start of each play. This ensures that the teams have space to line up on both sides of the football. The position of the football that defines the sides of the ball is called the "line of scrimmage". There are also goal posts at the back of each football end zone. One way to score is to kick the football through the goal posts. The ball must go between the uprights and over the crossbar. If any part of a player with the football touches outside the side lines or the end zone it is considered Out of Bounds. Football is a timed sport. The team with the most points at the end of the time period, wins the game. The game is divided up into 4 periods or quarters with a long "half time" between the second and third quarter. Time is counted while plays are running and sometimes between plays (i.e. time continues after a running play where the player was tackled in bounds, but stops on an incomplete pass). To keep the game going at a good pace the offense has a limited time (called the play clock) between plays. The rules in football allow each team to have eleven players on the field at a time. Teams may substitute players between plays with no restrictions. Each team must start a play on their side of the ball. The defensive players may take any position they want and can move about their side of the football prior to the play without restriction. Although there are certain defensive positions that have become common over time, there are no specific rules defining defensive positions or roles. The offensive players, however, have several rules that define their position and what role they may take in the offense. Seven offensive players must be lined up on the line of scrimmage. The other four players must be lined up at least one yard behind the line of scrimmage. All of the offensive football players must be set, or still, prior to the play beginning with the exception of one of the four backs which may be moving parallel or away from the line of scrimmage. Further rules say that only the four backs and the players at each end of the line of scrimmage may catch a pass or run the football. The team with the possession of the football is called the offense. The offense tries to advance the football on plays. The defense tries to prevent the offense from scoring or advancing the football. The down system: The offense must advance the ball at least 10 yards every four plays or downs. Each time the offense is successful in advancing the ball 10 yards, they get four more downs or what is called a "first down". If the offense does not get 10 yards in four plays, the other team gains possession of the football at the current line of scrimmage. In order to keep the other team from getting good field position the offense can punt (kick) the ball to the other team intentionally. This is often done on 4th down, when the offense is outside of field goal range. Offensive plays on downs start with a snap. This is when the center passes the football between their legs to one of the offensive backs (usually the quarterback). The ball is advanced either by running with the football (called rushing) or passing the football. The football play is over when 1) the player with the football is tackled or goes out of bounds 2) an incomplete pass 3) there is a score. Not getting 10 yards in four downs. Fumbling or dropping the football and the defensive team recovers it. Throwing the football to a defensive player for an interception. Punting or kicking the football to the defensive team. Getting tackled in the end zone for a safety. False Start: When a football player on the offense moves just prior to the snap. This is a five yard penalty. Note that one back on the offense can legally be "in motion" at the time of the snap. Offside: If a player from the offense or defense is on the wrong side of the line of scrimmage at the time of the snap. A defensive player can cross the line of scrimmage as long as they get back before the snap, but if they touch an offensive player they can be called for encroachment. Holding: When a player grabs a football player without the ball with the hands or hooks him or tackles him. Pass Interference: When a defender contacts a pass receiver after the ball is in the air to prevent him from catching the ball. This is up to the referee to determine. If the contact is before the ball is in the air it will be called defensive holding. Note that pass interference can also be called on the offense if the defender has position and is trying to catch the ball. Facemask: To protect the football players, it is illegal to grab another player's facemask. Roughing the Passer or Kicker: To protect kickers and quarterbacks, who are very vulnerable when they are passing or kicking the ball, players are not allowed to run into them after the ball has been thrown or kicked. Intentional Grounding: When the passer throws a pass nowhere near an eligible receiver strictly to avoid being sacked. Ineligible Receiver Downfield: When one of the offensive players that is not an eligible receiver is more than 5 yards downfield from the line of scrimmage during a forward pass. The passion of a nation and its love of football was finally unleashed last night as Brazil kicked off the 20th World Cup with victory over Croatia, writes Oliver Holt in Sao Paulo. After a build-up marred by social unrest and demonstrations, fireworks lit up the night sky over this sprawling city to celebrate both goals in the 3-1 win. But this was not a comfortable night for the hosts of whom so much is expected. They fell behind early in the match and, after they had equalised through the mesmerising Neymar, they needed a soft penalty awarded by referee Yuichi Nishimura and converted by Neymar to give them victory. It was a nervous, tense night for coach Luis Felipe Scolari and his team. The game was short on the beautiful but the result was everything. Few will remember a turgid Opening Ceremony but no one who was here will forget the pre-match rendition of the Brazilian national anthem. David Luiz shouted it out, eyes bulging, body shaking. Neymar's lip quivered. Others closed their eyes as if in prayer. Those were spine-tingling moments when a nation seemed to be speaking, pleading for glory. 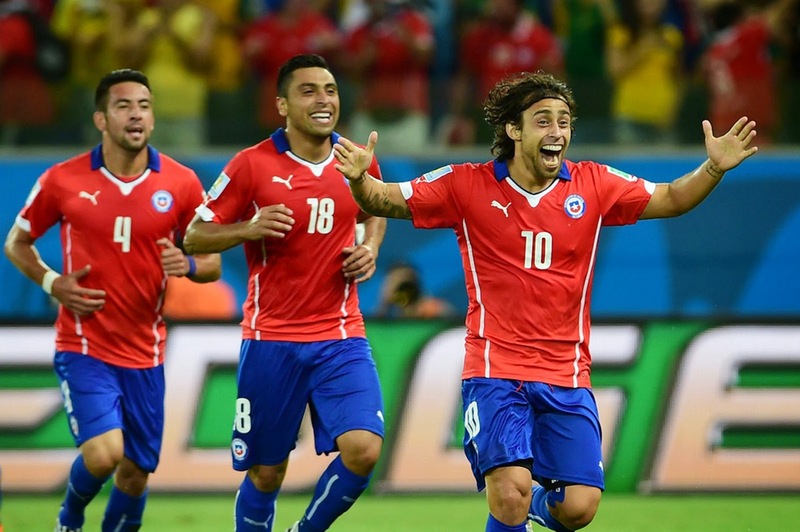 But Croatia are Brazil's strongest opponents in Group A and they soon set about proving it. They gave Brazil a warning when Ivica Olic rose highest to meet a cross at the back post and headed wide when he ought to have scored. Then, after 11 minutes, the unthinkable happened and Croatia took the lead. Olic, who had a superb half, worked himself free on the left and crossed to Jelavic at the near post. In any case, most of the particular England press pack stayed inside the hotel on Thursday night night after we might all reported around the state of the particular pitch, and most finished up eating in the particular grill restaurant. This necessitated any 50 yard wander outside across a courtyard to gain access to the place. Factor is, we're all thus paranoid about mozzies riddled together with malaria lying in watch for us, that our party effected the kind of excited wander a nine-year-old tends to make when walking around Toys R Us along with his birthday money using up a hole inside his pocket. Or no less than I did. The particular Brazilians love their particular meat. It's all protein-tastic over a menu here. But this is like a scuff and sniff Harvester, where you chosen what meat an individual wanted grilling as well as the chef would slam it in to the oven and incinerate it right facing you. Ribs, meal, sausages, chicken, an individual name it... I risked several sausages but we were holding incredibly salty - that subsequently made the beer decrease a bit faster. I spent time today with Great britain supporters at one of many Vauxhall Fan Hubs in Manaus. A excellent atmosphere of relaxed positivity was at evidence. It was lovely to find out a friendly confront almost immediately, as Mick Dennis from your Express arrived fresh over plane with his / her wife Sarah experience Brazil 2014 being a punter - with a small amount of work thrown inside. As he mentioned, 'for someone regarding my generation, some sort of Cup in Brazilian is something I recently cannot miss'. Mick can be a lovely guy, who was my own radio co-host for a while on talkSPORT inside mid-morning current extramarital relationships days, and his loyalty and defence regarding Norwich City will be admirable - the approach of your true fan. That passion of his also includes the national part, as with people. Was great to find out him, and regarding Sarah, there was an obvious and genuine delight at being together with her husband ingesting a major tournament that prior to this was his working domain and so unavailable for her to share with you in. I've never identified a hotel to own its own private zoo as yet. The Tropical in Manaus houses a jaguar (who seemed very bored, weak thing), squirrel monkeys, parrots and some sort of coot (not really Crash Bandicoot yet close) in the grounds. I will endeavour and have a suitable look tomorrow as i had only five minutes ahead of the bus arrived to adopt us to the particular stadium for Roy's media conference. The grass miraculously looked greener once we inspected the toss after Roy and also Steven Gerrard acquired spoken. I had ideas of Bob Ross coming from 'The Joy Regarding Painting' getting busy overnight along with his two-inch brush plus a shedload of sap environmentally friendly on his pallet - and washing his remember to brush in odourless color thinner, shaking off the extra and then conquering the devil from the jawhorse. God I really like that show : so therapeutic. Someone told myself Bob Ross has been a sergeant in the usa Army and shouted on a regular basis. You could've tricked me watching your pet make his 'happy tiny clouds' and noticing that 'every tree needs to have a friend'. Yet I digress. As i suspected Roy rejected to condemn the particular playing surface, saying it absolutely was 'flat' and he previously no problem from it. Nor did he have a problem with potential temperatures well in to the 30s tomorrow when pressed around the matter. The apparent concept of 'no excuses' would look like persisting into the particular tournament - really right too. Products high, expectations low - as it must be in my view. One more slumber then, and the entire world Cup becomes possible for 23 Englishmen and also their vastly knowledgeable manager. Here's to courage in every aspects; in strike, defence, in making changes and to make key decisions. Why don't we be partisan and also encouraging without overdoing that and overhyping yourself. Oribe Peralta fired within the deciding goal about the hour mark following smartly following upward his team-mate Giovani dos Santos' nicely saved strike. Nevertheless, it should happen to be the former Tottenham washout celebrating El Tricolor's very first World Cup goal twice within the opening 30 min's. The 25-year-old thought he'd found the opener 11 min's in when he beautifully taken off his marker and ran an ideal line to sweetly volley within Paul Aguilar’s mix but up proceeded to go the linesman’s banner incorrectly. Later on within the half, Colombian referee Wilmer Roldán as well as his linesman blundered for any second time, denying the actual Villareal midfielder an additional goal. In came the Mexico corner and carrying out a flick on - that seemed to be off the head of the Cameroon player -- Dos Santos nodded the actual ball in, just the linesman in order to flag for offside once again. It was the bizarre sequence associated with events and remaining Mexico players mad and boss Miguel Herrera tugging his hair on the touchline. 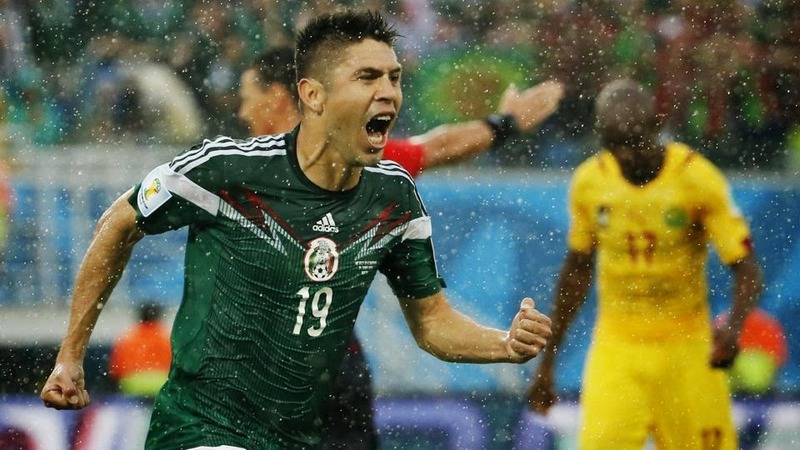 Between your two dodgy choices, Mexico had spurned possibilities with Rafael Marquez as well as Hector Moreno guilty of having in each other peoples way when both had a totally free header. Cameroon adopted the hugely defensive perspective and struggled to create much of a direct effect - their greatest chance falling in order to Chelsea striker Samuel Eto'o, who should did better when he or she fizzed a hit just off the outside the post following a great cutback from Benoit Assou-Ekotto. And QPR's upon loan defender nearly grabbed a flukey hit when his whipped free-kick had been deflected just broad with Guillermo Ochoa rooted towards the spot having gone the wrong manner. But Mexico steered clear of and, thankfully with regard to World Cup rights, finally went forward when striker Peralta broke home. Despite having sufficient time left Cameroon still failed to begin, that was before final minutes from the match when Benjamin Moukandjo experienced Mexican hearts within their mouths as their free header had been just saved through Ochoa. That came heavy into injury period and there still remained an opportunity for Javier Hernandez in order to volley over when free within the box - although the Manchester United man wasn't helped by a good overhit cross. But fortunately this did not return to haunt Mexico because they triumphed and proceeded to go equal on factors with hosts South america in Group The. By using an incredible night inside Salvador, Louis vehicle Gaal's side leaped riot as The boy wonder van Persie and also Arjen Robben equally grabbed braces and also Stefan de Vrij minted. Few expected any Dutch victory and also, having gone down 1-0 with a dubious penalty in which Xabi Alonso dismissed home, it appeared to be it would not necessarily be their night time in Brazil. 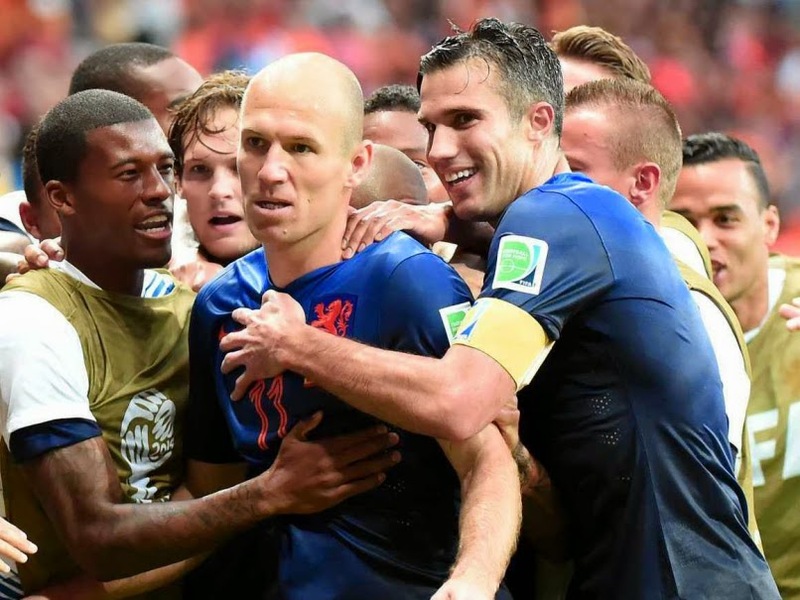 But led from the rampaging pair regarding Van Persie and also Robben, the Netherlands notched several unanswered goals to be able to send a statement to other World Cup. Things began nervily inside Arena Fonte Nova and also Wesley Sneijder wasted an early on one-on-one before The world assumed control with the match. David Silva, Andres Iniesta and also Xavi were running rings across the Dutch and at some point the latter chosen Diego Costa using a gorgeous ball. The Brazil-born forwards turned inside De Vrij but appeared to stand on his trailing ft .. He went straight down however, was given a penalty, and also Alonso drilled the particular ball home about 27 minutes. Rarely do Spain relinquish this kind of lead and they are able to have added with it had Silva's lob long gone in moments afterwards. The City midfielder may have squared for Costa to be able to tap in and also his decision never to was soon reprimanded by some extraordinary improvisation from Vehicle Persie. Daley Blind knocked more than a sweeping cross coming from some distance as well as the Manchester United striker wonderfully dived to motion picture a header above Iker Casillas from most of 16 yards out there. Such a instant of genius intended the Dutch delivered out for the next half fired upwards, stunning the Spanish through the lead eight minutes following your break through Arjen Robben. Van Persie chosen his team-mate as well as the Bayern Munich superstar twisted Gerard Pique inside-out just before smashing the basketball home to send out Oranje fans ridiculous. Spain were rocking and so they could have easily gone down to ten guys had referee Nicola Rizzoli seen Costa head-butting Dutch defender Bruno Martins Indi before a corner. Unsurprisingly, the Atletico Madrid striker was shortly hauled off, but La Roja’s night was planning to get even worse. 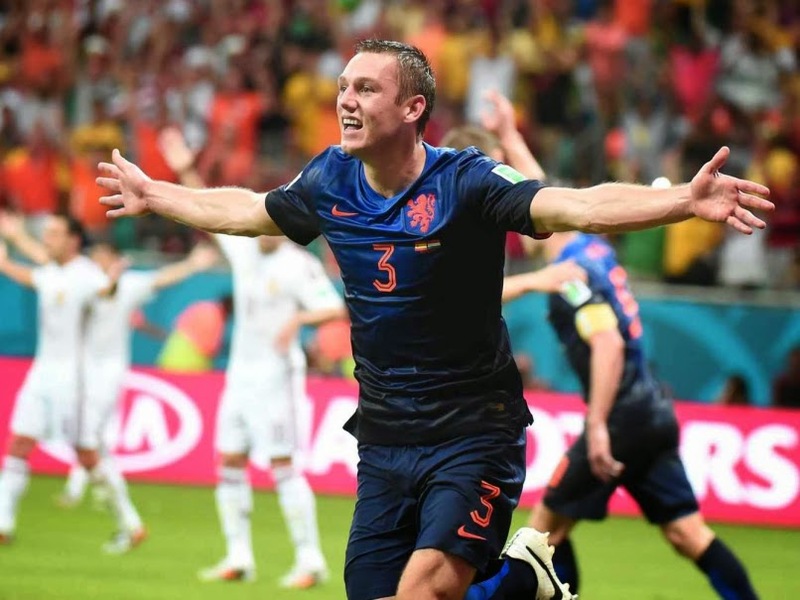 First of almost all Van Persie rattled the bar having an incredible volley, which will have definitely made the entire world Cup best targets highlight reel acquired it gone inside, but soon it absolutely was three for the netherlands when De Vrij stabbed residence. Sneijder’s floated free-kick eluded everyone nevertheless the defender, whose header delivered off the submit and went inside off his leg, though Spain have been cursing the disappointment to award a free-kick to get a perceived foul about Casillas. Spain thought that they had grabbed a lifeline any time Silva tapped home nevertheless the City man's get-togethers were cut quick for offisde. To put it differently, it was not planning to be La Roja's night time. Casillas' nightmare night time soon plumbed fresh depths when this individual inexplicably mis-controlled any backpass, allowing Van Persie to be able to easily rob your pet and roll the particular ball into a great unguarded net to produce it 4-1. Humiliation was complete now it was merely a question of the amount of the Dutch sensed like scoring, these kinds of was the woeful exhibit by Spain's protection. There remained 20 minutes left and Robben specifically was not completed, picking up the particular ball and shredding past Sergio Ramos just before leaving Casillas floundering around the turf and heating home past two defenders exactly in danger. Spain were compelled to suffer a single final horrific instant when substitute Fernando Torres did not score from a couple of yards to properly and truly complete the entire world champions' awful night time. It could have got easily been more for your Netherlands as they continued to perform riot but several was enough while they sent shockwaves around the globe Cup with an unbelievable second half exhibit. The initial half of Chile compared to. Australia was great, and the second half continues to be even better, despite having less goals. It's ridiculous, it's been actually well-played, and you will never guess what's planning to happen next. Australia's best chance was this place from Mark Bresciano, who forced a fantastic save from Omar Bravo. Slightly below 10 minutes afterwards, Alexis Sanchez create this chance regarding Eduardo Vargas, but Australia surely could clear off the particular line. This is definitely the best game with the World Cup up to now, and it's one that looked the least interesting in some recoverable format.